The Hebden, is an LDWA event for both walkers and runners, with a choice of competing on either the 15 or 21 mile route. Such is its appeal, I’ve raced it for the last six consecutive years and I’m not about to give up anytime soon. Technically speaking, it’s not actually a race, it’s a long distance walking challenge that also allows runners to compete. It’s a low-key event and there are no prizes or medals at stake. Nobody really cares if you win, least of all the organisers. It’s purely for enjoyment, a chance to share an experience on the hills with other like-minded people and the reward of completing a long distance challenge in often tough and wintry conditions. 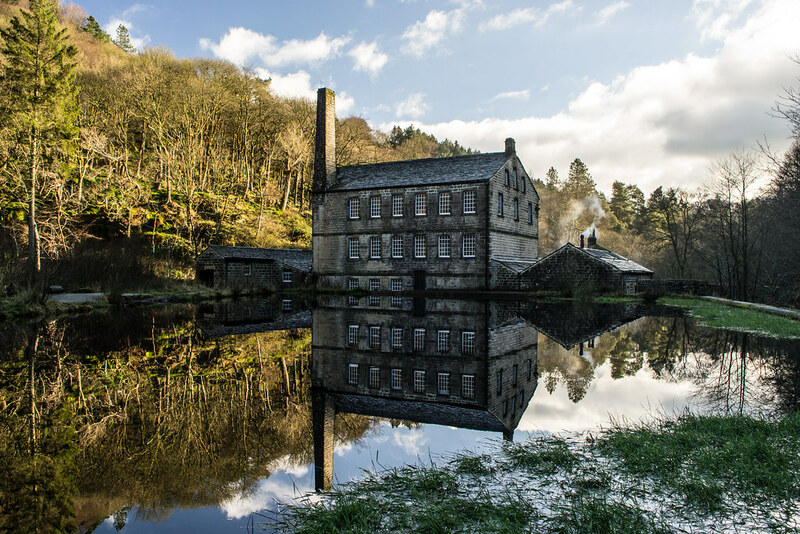 The Hebden is essentially the Calder Valley’s greatest hits – a stunning collection of the very best views and landmarks that the local area has to offer. 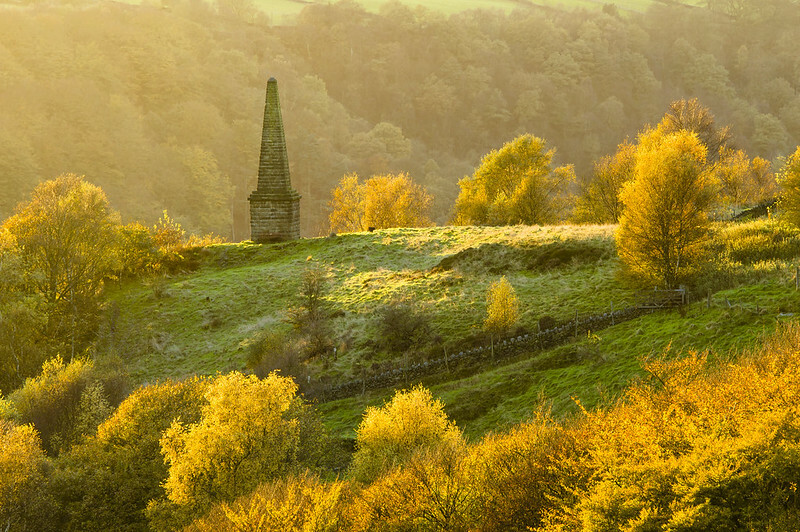 From the beautiful woodland paths of Hardcastle Crags to the imperious Stoodley Pike Monument, which dominates the moors of the Upper Calder Valley. This is a race that has it all and it’s easy to see why it’s become such an iconic and popular event amongst the running community. I first ran The Hebden in 2011 by complete chance because that particular year it was included in our Calder Valley club championship. At the time there was a strong feeling of animosity between some members of the club because many were concerned we would be ruining a walking event by turning it into a race. I could understand their point but I strongly disagreed. Mainly because the organisers, Alan Greenwood and Carole Engel, were extremely welcoming and very happy that we’d chosen their event as one of our long distance counters. There was, and still is, no reason why the route cannot be shared and enjoyed by both runners and walkers alike. Pictured above: The walkers and runners all gather in the church hall to register and fuel up before the race (Photos courtesy of Nick Ham). Quite often before a race begins there is a tense atmosphere with people full of nervous energy. However, at the Hebden everyone is calm and relaxed, chatting about the route and enjoying the plethora of food and drink that’s on offer. I usually eat a light breakfast at home because I know that when I get to the church hall for registration, I can have as much coffee and toast as I like before the race gets underway. I particularly enjoy being mothered by the wonderful Carole and her army of helpers. They cannot do enough to make you feel welcome and looked after. The kitchen is a hive of activity, with a constant stream of happy, smiling people queuing patiently as they wait to be served. The food and hospitality are reason enough to compete in this fantastic event. I look forward to this race because it never fails to disappoint. Alan is an excellent race organiser – always in control, unflappable in a crisis and genuinely just a really great bloke. He always sends me an annual race reminder so I don’t forget to enter, and he regularly updates me on how the money raised from entry fees has helped to improve the paths and tracks on the route and around the valley. His team puts a tremendous amount of work into the race and the upkeep of the local area. Part of the reason I like to support this event is to help raise its profile and encourage more of this positive action to happen. Pictured above: A basic map of the route (anti-clockwise) with the start and finish indicated by the green dot. This year is much like any other. I’m running with my training partners, Karl ‘The Legend’ Gray and Gavin ‘Mad Legs’ Mulholland, and we’ve all signed a peace treaty by agreeing to race together. We’ll obviously run hard but this is essentially a training exercise and our journey will be filled with good conversation and quality banter. I’m pretty relieved to be honest, as I no longer have to worry about being dropped by either of them – Karl’s impressive training schedule is usually a pre-race concern. I’m also relieved that I’ve managed to get to the start line on time. A few years ago I actually missed the beginning of the race because I was queuing for the toilet. When I came outside everyone had already set off and it took me at least 2 miles to catch up with the leaders! The route circumnavigates the picturesque market town of Hebden Bridge, which lies at the heart of the Calder Valley. It begins with a fast run out on a woodland track parallel to the railway line, before competitors turn and face the challenging climb of Brearley Lane. A few moments later this effort is duly rewarded with spectacular views and much of the route can be seen across the valley. I find it difficult to hold back during the first few miles of the Hebden because I get carried away with setting a fast pace. I have to force myself to slow down so that I have something left in the tank during the final stages. I glance behind and Karl gives me ‘that look’. His diesel engine takes a bit longer to warm up than mine (usually about 10 miles) so I take my foot off the gas a little. He doesn’t need to say anything. I know the legend well enough by now. A raised eyebrow speaks volumes. Instead, my thoughts turn to the first checkpoint at Old Town. I’m dreaming about giant slabs of tiffin and monster slices of cake. Forget everything I’ve already mentioned about this race, the food stations on the way round are THE best bit! There isn’t a single event on my calendar that has this many opportunities to eat DURING a race! I know that Gav is just as excited as me, and when we reach Old Town I grab the biggest piece of tiffin I can find. I don’t have a problem with eating and running at the same time because they are both my two favourite things in life – don’t ever let it be said that men cannot multi-task. If Shaun Godsman was here now he’d be in heaven. In fact he’d probably just sit here all day and finish off the rest of the cake before the next runner arrives. I’ve lost count of the number of times that I’ve run on this route, but what amazes me is how different it always looks when I do. I always see something new that I’ve never noticed before. For example, it took me 4 years to spot the Wadsworth War Memorial above Midgehole. It looks like a mini version of Stoodley Pike, except it doesn’t stand as prominently on the horizon because it’s well hidden by the trees. 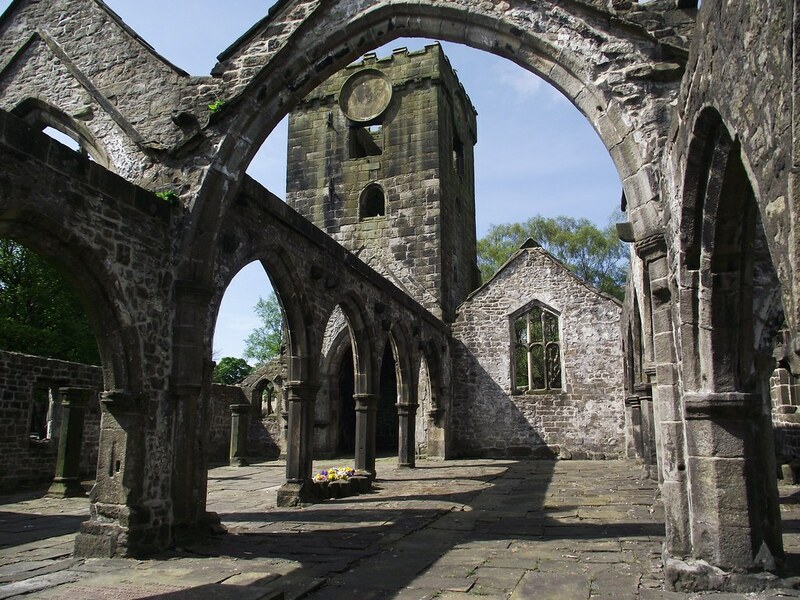 It’s worth a visit if you’ve never seen it before, although you may struggle to find it! The view across the valley to Heptonstall and Stoodley Pike is also a treat, although today I don’t really have time to appreciate it. 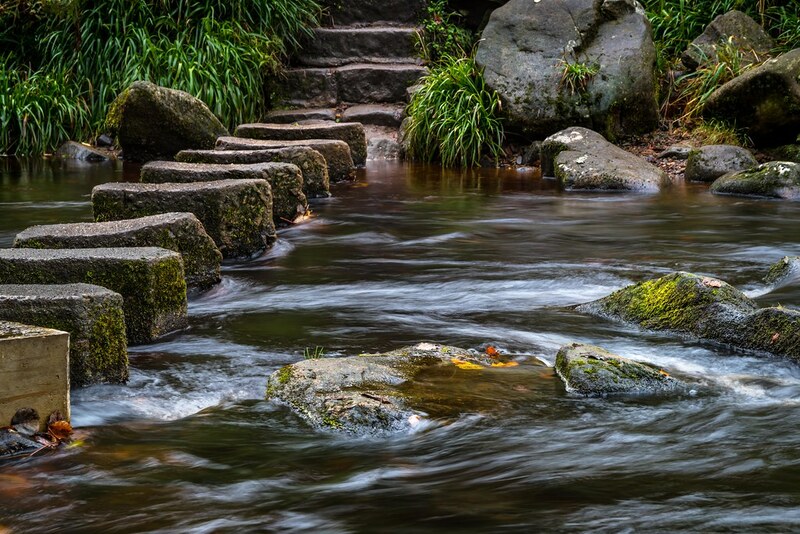 Upon reaching Gibson Mill we opt for the stepping-stones instead of the bridge as they’re not covered in ice or submerged underwater. A couple of years ago (after the floods) we didn’t have the luxury of choice, it was either swim or take the bridge! After crossing the stream it’s another long climb through the woods before we reach Heptonstall. Unfortunately, the route doesn’t take us past the church or through the charming cobbled streets of the main village, but I’d seriously recommend a visit if you’ve never been before. The good news for me is that I know there’s another checkpoint at the top of the climb and it usually has lots of jelly babies. When we arrive I’m not disappointed. Both my mouth and bumbag are quickly refilled. From here we continue to follow the Calderdale Way (in reverse) until we reach Blackshaw Head, before descending back down the valley towards Burnley road. This downhill section of the course, through Jumble Hole Clough, is my favourite by far. I always feel like I’ve accidentally stumbled onto the set of The Hobbit and I’m being chased through the woods by an army of Orcs. This area forms the old boundary between Yorkshire and Lancashire. So if I do happen to spot any Orcs then they’ll probably arrive from Tod’Mordor’- the dark side of the valley 😉 Perhaps these feelings are heightened further because my tiny companions look just like hairy hobbits, especially Gav, who could easily be used as a body double for Bilbo Baggins. Jokes aside, this is a magical part of the Calder Valley. A secret sanctuary of flora and fauna which exudes tranquility and calm. My favourite descent is swiftly met by my favourite checkpoint. It’s like an Aladdin’s cave stacked full of sugary and savoury treats. There’s so much choice that we have to stop for couple of minutes just to make sure we don’t miss out on anything delicious. I’m offered a coffee on arrival and I’m very, VERY tempted to say yes but decide it won’t be the easiest thing to drink on the steep climb towards Stoodley Pike. Instead I grab a beef pate sandwich and another monster slab of tiffin (rocket fuel!). I chuckle to myself as I spot a pile of beef dripping sandwiches and wonder how many other races in the world offer this kind of food halfway round!?! I’m just waiting for the year that Gav (the herbivore) eats one by mistake! The climb to Stoodley is the longest and steepest ascent in the race but today Gav is making it look easy. I exchange glances with Karl and we wonder if he’s on performance enhancing drugs or whether he really did eat a beef dripping sandwich by mistake. Either way he’s got far too much energy so I put him back on his lead, just in case he tries to run off and leave us. Besides, in another 2 minutes the KGB (Karl, Gav & Ben) will need to be camera ready for SportSunday so we can pose for team photos. It feels a bit like Groundhog Day because every year the lovely Laura and David Bradshaw stand in the same place taking images. The only difference being the weather, and today we’ve been very fortunate. Although the route doesn’t travel directly past Stoodley Pike, Calder Valley’s most famous landmark dominates the skyline from start to finish. Very rarely does it disappear from sight and it looks impressive from every angle. 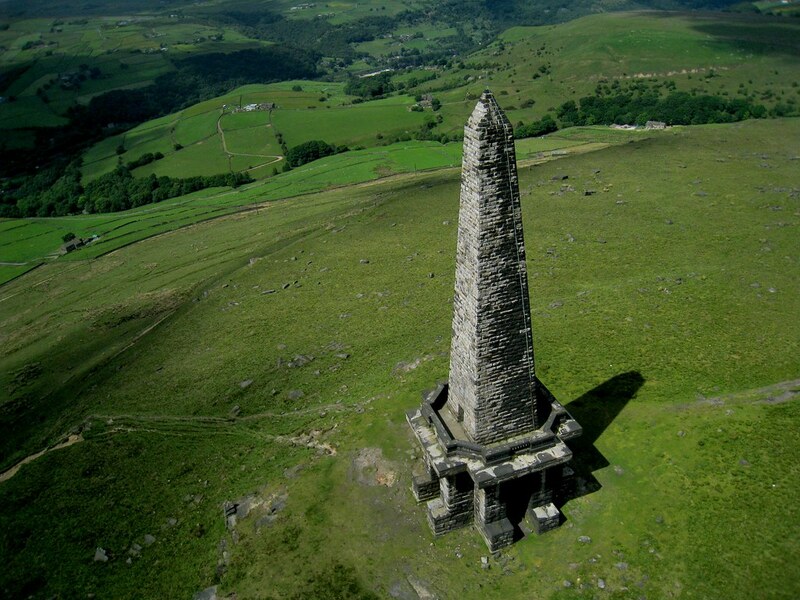 The monument is almost within touching distance as we reach the summit of the climb but we immediately turn left and head in the opposite direction towards Erringden Moor. A few years ago we got lost in the mist whilst crossing the moor but thankfully there’s no chance of that happening today. Gav leads the way and within minutes we begin to quickly descend through Broadhead Clough towards checkpoint 4. This marks the point where the 21 mile route leaves the 15. In the past I’ve been sorely tempted to switch direction and just complete the shorter race. However, today I’m feeling good and another piece of tiffin helps persuade me to carry on. In my opinion, the climb out of Turvin Clough to the top of the valley is the crux of the race. After 15 miles, it separates the men from the boys. My legs feel heavy and I’m beginning to tire. Unfortunately for me there is nowhere to hide on the ‘killer steps’ – it’s death or glory. Survival mode kicks in and I’m forced to dig deep. I know once this climb is over I can make it to the finish. It’s a huge mental achievement. Gav skips up them effortlessly and I just try and hang on to the back of him. I can hear Karl behind me trying to do the same. Surprisingly, at the top I actually feel ok. In fact, I’ve not only survived them but I’ve somehow discovered a second wind. I decide it’s a good time to give Gav a taste of his own medicine so I push the pace to the next checkpoint. I think it’s the thought of more tiffin that spurs me on. The route briefly rejoins the Calderdale Way (Leg 1) before descending sharply down towards Cragg Vale. Then, just before we hit the main road we turn once more, back uphill to Hollin Hey Wood and the final ascent. Now, as much as I hate the killer steps, they don’t even begin to compare with how I feel about this climb. It absolutely fills me with dread. I can’t EVER remember enjoying it and I ALWAYS struggle to run up it without wanting to stop. But not today. Today I’m determined to put my demons to rest as I prepare to launch one final attack. I take a deep breath and give it everything I’ve got left in the tank. It’s very rare that I ever run faster than Gav on a climb so I must be going well. You can imagine my relief and excitement as I sprint the final few steps to reach the top. It’s only taken me 6 YEARS to finally conquer it! Thank God it’s all downhill from here. I check my watch as we begin to descend and I know we’re on for a sub-3 hour finish. I’m happy with that. We cross the line in 2:56, just 3 minutes outside of the record. Not bad considering all the time we spent pausing for food. The only way to finish a good run at the Hebden is to eat, shower and then eat some more. So I kick off the post-race celebrations with pie and peas (Yorkshire style), mint sauce on top and not a slice of beetroot in sight (take note Lancastrians). Apologies to Caroline Harding who has to witness me eating inhaling it in less than 20 seconds. After a (very) brief pause it’s straight on to the rhubarb crumble, countless mugs of tea and finally, all washed down with some glasses of mulled wine. I think at this point you can safely say I’ve got my money’s worth from the entry fee. Unfortunately the quality of the showers aren’t quite on par with the standard of the refreshments. I can confirm that the cold water does nothing to help revive Gav’s #PRP! Pictured above: The KGB (From L to R – in that order) with the wonderful Carole Engel (post-race). So there you have it – the full Hebden experience. 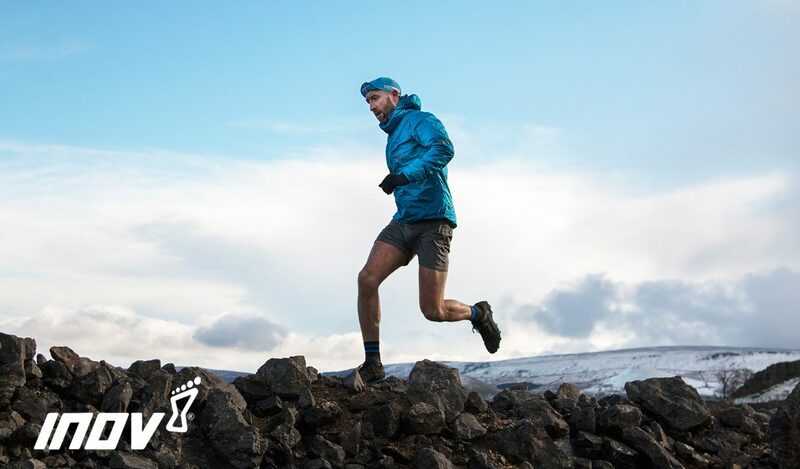 If you, like me, are a fan of running, eating, and spending a day on the hills with other like-minded people, then this is the event for you. But be warned – this race sells out quickly and there are only a limited amount of places available for both the 15 and 21 mile challenges. Keep an eye on SiEntries for the 2018 edition of the Hebden and other LDWA events. Finally, I’d like to extend my sincerest thanks and appreciation to Alan, Carole and their amazing team for all their hard work and organisation. Without you it wouldn’t happen and it certainly wouldn’t be the same. See you again next year!